Altair HWSolvers 2017.2.2+ Documentation - 行业软件 - CG牛网,牛CG,顶尖资源 - Powered by Discuz! 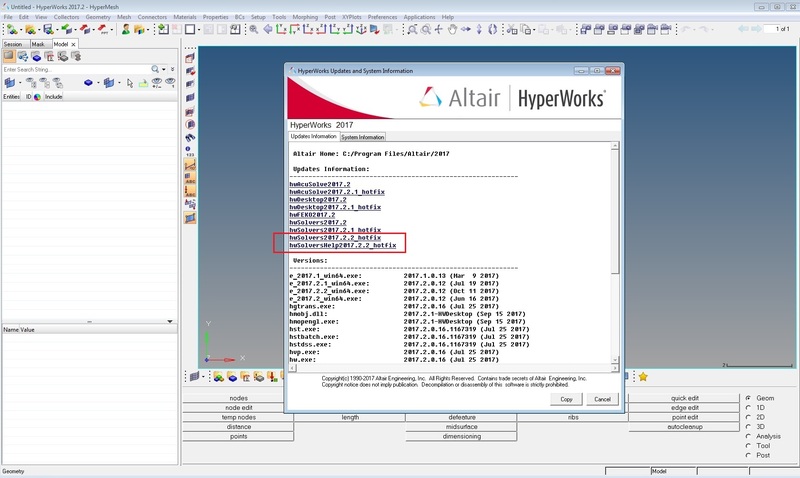 Altair has released an update to HyperWorks Solvers 2017.2. This hotfix contains enhancements, new features and bug fixes to RADIOSS, OptiStruct, MotionSolve and HyperXtrude that were previously released. Besides RADIOSS and OptiStruct help package has been updated to reflect the improvements in the software package. About Altair HyperWorks. 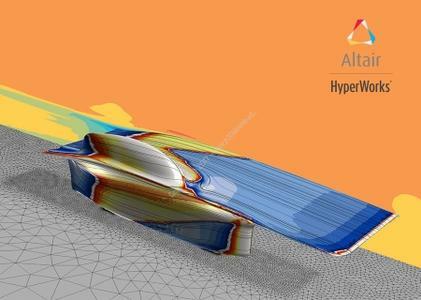 Altair HyperWorks is the most comprehensive, open architecture CAE simulation platform in the industry, offering the best technologies to design and optimize high performance, weight efficient and innovative products. HyperWorks includes best-in-class modeling, linear and nonlinear analyses, structural and system-level optimization, fluid and multi-body dynamics simulation, electromagnetic compatibility (EMC), multiphysics analysis, model-based development, and data management solutions. About Altair HyperWorks Solvers. HyperWorks Solvers is a collection of finite element and multibody dynamics solvers for structural, fluid-dynamics and systems simulation. These solvers can be employed for simulation driven design as well as design optimization. With the 13.0 release, a renaming of our structural solver products has taken place in order to accommodate the growing trend of applying optimization technologies more intensively in the product development process, instead of just single run analysis. Moving forward, our structural and thermal analysis and optimization product for linear and non-linear events will be called OptiStruct; this includes analysis disciplines such as linear and non-linear statics, noise and vibrations and thermal analysis. Our product for highly-nonlinear, typically transient events such as crash, impact, forming or blast analysis will be RADIOSS. Both codes are developed with a strong focus on the above mentioned disciplines, and will continue to leverage technology mutually. OptiStruct will continue to leverage the widely used bulk data input format, and RADIOSS will continue to use the well suited block format. Moving forward, OptiStruct will also serve as the general framework for optimization involving multiple physics incl ding CFD and FSI with AcuSolve and multi-body dynamics with MotionSolve, and will also offer API to integrate additional solvers and solutions within a general multi-model framework. About Altair. Altair is focused on the development and broad application of simulation technology to synthesize and optimize designs, processes and decisions for improved business performance. Privately held with more than 2,000 employees, Altair is headquartered in Troy, Michigan, USA and operates more than 45 offices throughout 22 countries. Today, Altair serves more than 5,000 corporate clients across broad industry segments.